Ron, a member of the National Association of REALTORS (NAR). He holds the Certified Buyer Representative (CBR), Certified Residential Specialist (CRS), Graduate Realtor Institute (GRI) professional designations. He is a member of the Real Estate Buyer Agent Council and has earned the Accredited Buyer Representative (ABR) designation. 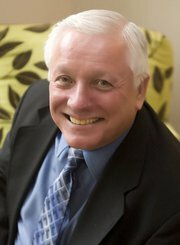 Ron has over 34 years of full time professional experience helping people buy Charleston SC homes. 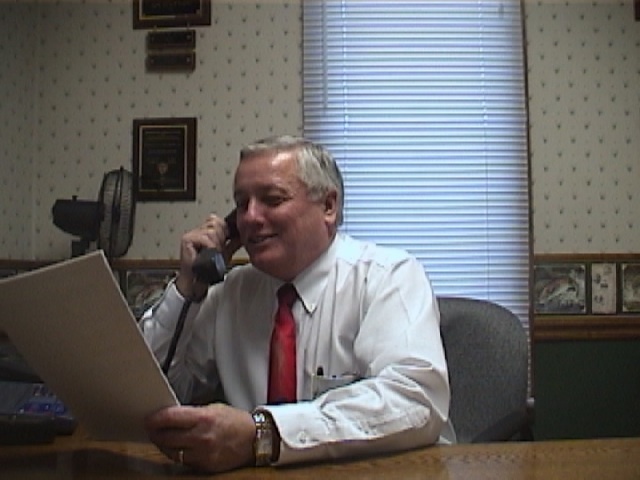 Ron was inducted into the Real Estate Buyer Agent Council's Hall of Fame for year 2003 for his pioneer efforts as an advocate for buyer agency representation. He was elected President of the North Area Top Producers Club for year 2005, 2008 and 2009, 2014 and 2015. Ron is a repeat Century 21 Centurion Producer and repeat Realtor® of Distinction award winner. He earned the Top Buyer Relocation Agent Award 2017 for the company. Ron enjoys using his experience and negotiating skills to save his clients time, money and effort. His consumers, either buyer or seller, are better informed. Ron believes that through technology and the news media homebuyers are becoming more educated and once they become aware that they can have agent representation at no additional cost they will seek out an experienced agent online. Ron has helped hundreds of homebuyers find their dream home. A native of Kentucky, Ron entered the U.S. Coast Guard at age seventeen and traveled extensively during his career. He served on eight ships and received the "Coast Guard Medal" for heroism in a life saving fire rescue. His travels included the Arctic, Antarctic, Newfoundland, Greenland, Alaska, Hawaii, Fiji, Tonga, Japan, and numerous South American, Caribbean and South Pacific cities and islands. The "iceberg experience" in his travels to the "Top and Bottom" of the world gave him a great appreciation for the milder Charleston South Carolina climate. He is a retired CWO from the U.S. Coast Guard after serving his last hitch as Group Engineer Charleston. He fell in love with the Charleston SC area during his last career tour and he selected Real Estate as his new career choice. Ron settled in the bedroom community of Goose Creek. He and his wife "Birdie" have three children. Elizabeth, Kelly Ryan and Faith. Kelly is a CPO in the U.S. Coast Guard. Elizabeth, has blessed Ron and Birdie with three grandchildren. Their daughter Faith the last to get married graduated from Charleston Southern University and her and her husband are teachers. Faith is now a third grade teacher at Joseph Pye Elementary in Dorchester II Schools. Ron and Birdie are active members of Crowfield Baptist Church in Goose Creek. Ron has served as a volunteer instructor and with several committees at Charleston Trident Association of Realtors. He is past President of the National Association of Exclusive Buyer Agents. He is also a Charter member of the Goose Creek Economic Development Committee. Ron loves to hunt and fish. Serving Charleston, North Charleston, Summerville, Goose Creek, Mt. Pleasant and NWS and Charleston Air Force Base, Coast Guard and all military personnel.